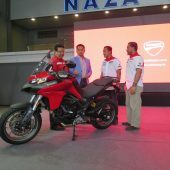 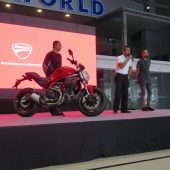 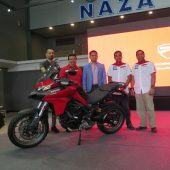 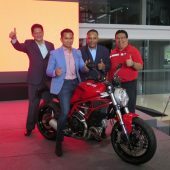 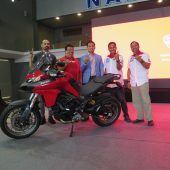 Next Bike Sdn Bhd, sole importer and distributor of Ducati motorcycles in Malaysia, has launched two new entry level variants, the Monster 797 and Multistrada 950, with basic selling price of RM55,900 and RM85,900 respectively, inclusive of GST. 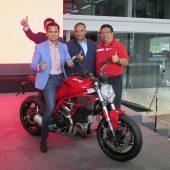 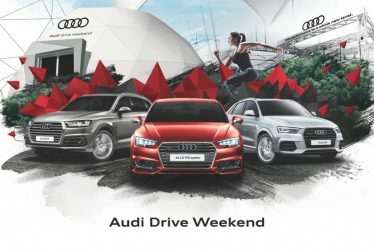 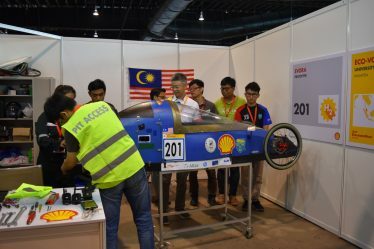 The bikes were launched at the Naza Merdeka Autofair 2017 which took place over the weekend at Naza Automall Petaling Jaya. 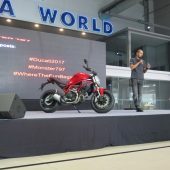 The Monster 797 is powered by a Euro 4 compliant Desmodue air-cooled L-twin engine cradled in the Trellis frame, which generates 75hp at 8,250rpm, which the company says is perfect for beginners and still fun for expert motorcyclists. 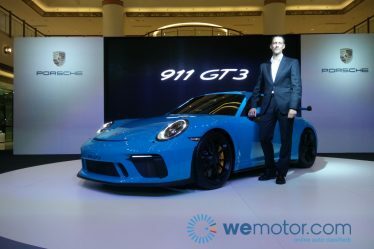 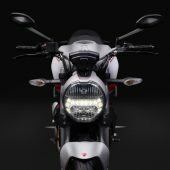 It is equipped with Bosch ABS, which works in concert with a top-drawer front braking system consisting of two 320mm Brembo discs gripped by two Brembo M4.32 radial callipers. 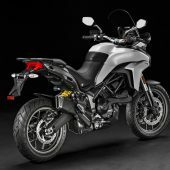 The naked bike is designed with a low seat and wide handlebars for a stable ride, while contained weight and agile chassis geometry give riders “outstanding ‘feel’, perfect control and superb handling” whatever their level of experience. 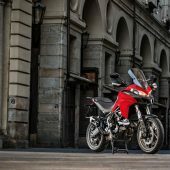 Meanwhile, the Multistrada 950 is designed for riders looking for some touring as well as an agile fun bike suitable for daily use. 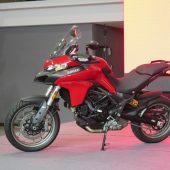 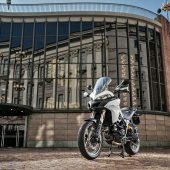 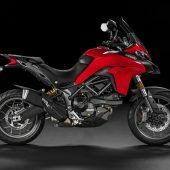 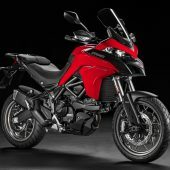 The smallest “multibike” in Ducati’s lineup, it is lighter than the Multistrada 1200 and has a seat height of 840 mm, while the 19-inch light alloy front wheel ensures comfort and fun on any road surface and suspension with a generous 170mm of travel and a twin-sided swingarm keep the bike comfortable and agile. 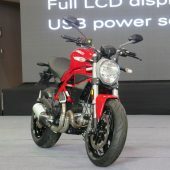 It is powered by a 937cm3 Testastretta 11° twin cylinder engine which generates 113hp at 9,000rpm and 96.2Nm peak torque at 7,750rpm, and features four riding modes – Touring, Sport, Urban and Enduro as well as a generous 20-litre tank. 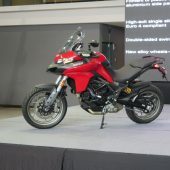 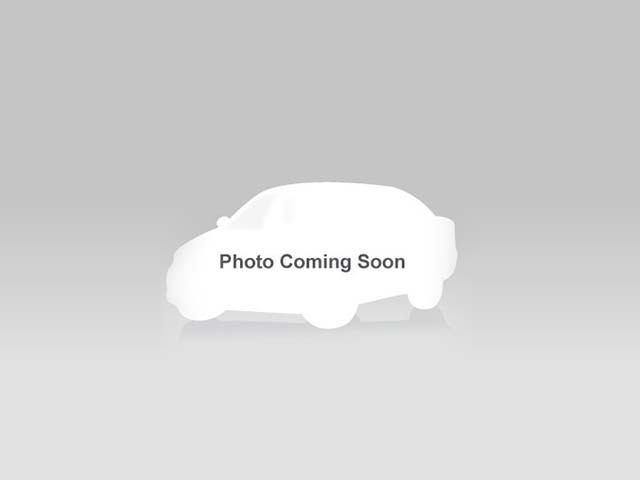 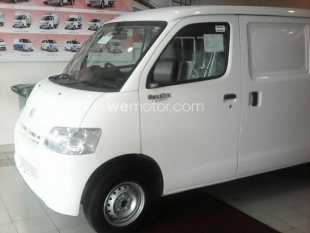 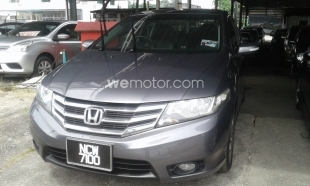 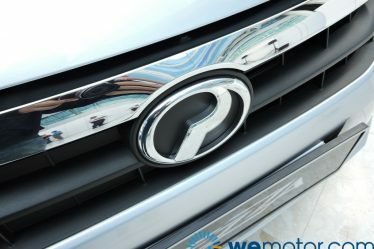 The engine has a maintenance interval of 15,000km or 12 months, with valve clearance inspection every 30,000km. 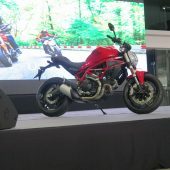 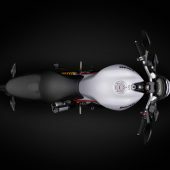 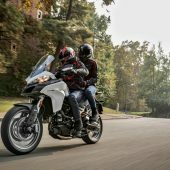 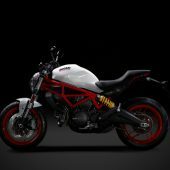 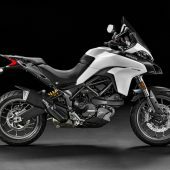 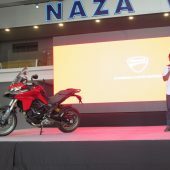 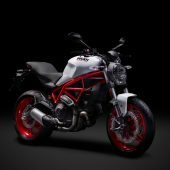 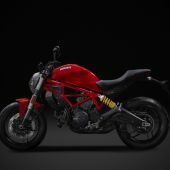 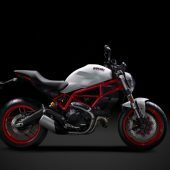 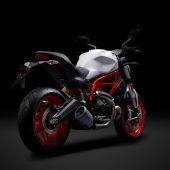 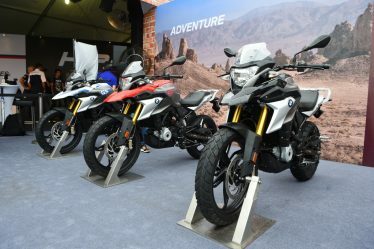 The bike is also equipped with the Ducati Safety Pack, which includes the latest Bosch 9.1 MP ABS with three-level adjustment and eight-level Ducati Traction Control. 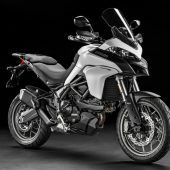 These safety systems apply different intervention levels depending on the selected Riding Mode; riders can personalise them to set up the Multistrada 950 to match their individual needs and riding skills.